Your LinkedIn company page is one of the most important parts of your business's online presence. Not only does it help you establish the quality of your thought leadership, but it also attracts the top talent you need to succeed. All in all, LinkedIn has been pegged by the experts as the #1 source of B2B leads, bar none. That said, it can be a little more difficult to promote than your Facebook or Twitter. There simply isn’t the same sense of excitement on a professional platform. Even so, you can achieve resounding success with LinkedIn through the right tactics. Let’s consider a few of the best ways to get your LinkedIn out there. You do have a YouTube channel, right? YouTube results can bolster your presence at the top of the search page alongside your own pages, so they are worth it. At the end of every video, be sure to include your main web address and your LinkedIn. 2. Release Presentation Decks on SlideShare. SlideShare is the hosting service owned by LinkedIn that provides professional content in various forms, including presentations, infographics, and documents. It's an effective way to promote your LinkedIn URL because it is a LinkedIn property. People trawl this site to find information on presentation topics pertinent to them, so they can always end up back at your home base. 3. Use Prime Real Estate on Your Business Card. If you attend professional conferences, you know that the era of the classic business card is not over yet. Any card that discloses your company affiliation should also include the company’s LinkedIn page (as well as your own). 4. Promote Your LinkedIn on Other Social Platforms. While it’s true that people don’t go to Facebook or Twitter looking to make business buys, that doesn’t mean you can’t attract them back to your LinkedIn. Simply announce your page URL every once in a while between your usual value-added posts. 5. Mention Your Page on Podcasts. When prospects reach the middle of the funnel, podcasts and other sophisticated content will become a bigger part of your strategy. Mention your page's URL each time you tease the content at the end of the podcast – you know, the big reason why listeners “HAVE” to stay until the end. 6. Include Your URL on Press Releases. Press releases are intended to get interest from media outlets, both local and national. While they can be hit or miss, it’s worth including any important online info you want the public to know. Press releases can end up archived on hundreds of sites throughout the net. 7. Add Your URL to Company Stationery. These days, stationery blocks include copious space for online addresses. Just make sure you are not diluting the power of your message by overdoing it. Your homepage and LinkedIn URL plus one contact email address should be enough. 8. Blast Your URL on Billboards. Visual ads like billboards and subway placements are hot in major metro areas where millions of people struggle with the daily commute. If your placement is focused on recruiting, including your company LinkedIn page may be a good use of this limited and valuable space. 9. Include Your URL on Promotional Items. Depending on your industry, there may be all kinds of different promotional items you hand out to prospects and customers. When these are useful or funny, they can stick around for a long time. You never know when someone might reconnect on your URL. 10. Use Your URL on Receipts and Invoices. The trick to getting any URL out there is putting it in a place where people will actually see it. Web fatigue can set in and make a new address virtually invisible. Placing it near the signature line, on the other hand, directs the eye toward it. Plus, when people review receipts and invoices, they usually do so thoroughly, so your chances of them seeing your LinkedIn URL is high. 11. Place Your URL on Annual Reports. Quarterly and annual financials aren’t just seen by your investors. Over time, they are reviewed by many other sources. They can end up on the desks of analysts worldwide and may even be used by students and hobbyist traders. Make sure your URL appears in front and back matter. 12. Cap Interviews with Your Page Info. Have you been using interviews as part of your content strategy? If not, it’s time to give it a try! An interview with your top stakeholders helps build credibility in your expertise. As with more general podcasts, you can start and end with your LinkedIn information. 13. Highlight Your Page in Your Whitepapers. Whitepapers are an ideal way to put your latest findings out there for B2B decision makers to find. 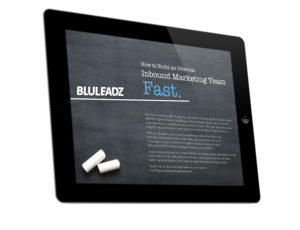 They are often the last step just before leads are motivated to contact you. Be sure your company LinkedIn is included among the contact info they can use. 14. Add Your Link to Your Case Studies. Case studies make your solutions more relatable by demonstrating how well they work for others who fall under your target audience. You can subtly enhance your case studies by including a web address of your choice just below the page numbers. 15. Highlight Your Page in Your Email Newsletter. Email is second to none when it comes to cultivating your buyer relationships. When you send out an email newsletter, you have the chance to capture attention and immediate action. It may be worth it to send out an email blast exclusively to point out your LinkedIn. Within this LinkedIn email, showcase some of your company's latest content published on the company page. This further establishes your authority with your email recipients and is a great way to deliver helpful, informative content to them. Also, praise employees who stood out in the last month and show how they went above and beyond. Promoting your awesome culture is great for attracting new talent and for showing your audience how well your team works together. 16. Enhance Your Email Signature with Your URL. If an email signature is short and punchy enough, it will get noticed. It’s a good idea to keep it down to three lines or less, with no more than two URLs. To drive traffic to your company page, consider rearranging your signature to give it pride of place. 17. Make Your Company Page an Online Hub. In a general sense, people will only be interested in your company page if you give them a good reason to be. Make sure the content targets the type of readers you expect to draw and that they can easily find resources pertinent to their needs. Otherwise, why would they go there? 18. Incentivize Following Your LinkedIn Page. There are many creative ways for you to make it worthwhile for others to follow your page: It all depends on your brand. A B2C-focused firm might make following a prerequisite to enter a contest, for example. Just be careful of things like raffles, which can have legal implications. 19. Get Internal Stakeholders to Follow Too. If your own team won’t follow your page, why would anyone else? Any kind of traffic drive should begin with those who have the most at stake. Although no one knows the details for sure, it’s a guarantee that the more followers a page has, the more visible it becomes on LinkedIn. 20. Onboard New Employees With Your Company Page. The day a new hire gets the job is the day most people feel peak enthusiasm about their exciting new opportunity. With that in mind, it’s the best time to make sure they follow the company page – and that helps remind them to update their own profile too. It’s a win-win. 21. Add a Follow Button to Your Website. This is an easy win for any business with a website: simply add a button on your blog or other relevant webpages that directs visitors to follow your company page. The count mode is a cool feature because it shows a live follower count in a vertical or horizontal format. As your following increases in size, visitors will feel more inclined to join the crowd. Then, after approving the preview generated in the tool, click the button that says "Get Code." You can add this code wherever you want on your site. 22. Engage in Relevant LinkedIn Groups. There are so many LinkedIn Groups worth joining. No matter your niche, you will find a group your audience spends time in. Search through LinkedIn to find the group that aligns with who you want to drive to your company page. Then, encourage your employees to join the group and stay actively engaged. For example, your team can share relevant industry content to spark a discussion or pose a question that gets other members excited to comment. This expands your brand's reach in the LinkedIn world. The more your audience is aware of your company, the more likely they are to seek out more information, which will ideally lead them to follow your company page. 23. Optimize Your Company Page. Similar to how you create content for your blog and website, you also need to consider SEO best practices as you build out your company page. Add relevant keywords to your profile. Ensure consistency within your company page and other online resources. Use rich media, including native videos. Engage with comments on a consistent basis. These act as extensions of your company page, where you can spotlight specific aspects of your organization, like a unique initiative or a specific product or service you offer. One of the best showcase page examples is the Microsoft Office page. They have over a dozen other showcase pages for various products, all of which provide unique tips and helpful information on the specific tools. 25. Check All the Company Page Boxes. There's no denying the power of an awesome company page. With a fully developed company page, you accomplish your goals of furthering establish your brand as authoritative and attracting awesome talent to join your team. So while all of these tips are important to adopt, the most important takeaway here is this: You need a company page that's worth a follow. Your profile image and banner image complement each other and are consistent with your company's branding. All of your company page information is up to date and accurate. This includes your company's website, company size, industry, address, and more. You have a fully developed career page that includes videos and photos of your workplace, targeted content and job recommendations for the right audience, a list of causes your employees support, and a virtual "meet the team" section. Your life tab within your company page showcases important information about your culture, like your mission and core values, employee benefits, employee testimonials and employee-created content (this is called "employee perspectives"), and cultural insights. Feel like your company page is underused? These tips will give it the spark you need to truly succeed. Editor’s Note: This post was originally published in August 2017. It was updated in December 2018 for accuracy and comprehensiveness. We've Got the Tips and Tricks For You. 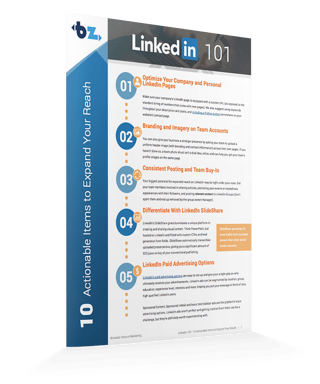 Download Our LinkedIn 101 Checklist!